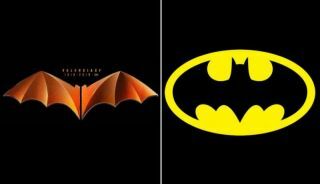 Valencia have reportedly ruffled a few feathers in Gotham City as DC Comics are not impressed with their new club symbol. The La Liga outfit celebrated 100 years since their creation in 1919 this year, and in turn they created a new logo to mark the occasion as seen in the images below, although it’s worth noting that it hasn’t replaced their official club badge. Unfortunately for them though, Corriere dello Sport report on how DC Comics have taken exception to their latest adaptation using a Bat, and have reported them to the European Union’s Intellectual Property Office for using a symbol too similar to their own for superhero Batman. It’s added that Valencia have rejected their claims, and have even insisted that they have been using the Bat as part of their club emblem for longer than the comic-book hero has been around. The two parties are said to have 22 months to reach an agreement, and so it remains to be seen if Valencia are forced to drop their use of the Bat in this celebratory format moving forward, although they can use the new logo until October 20, 2020, as per the report.
? #Mestalla se viste de gala en la víspera del Centenario ? ?